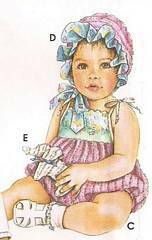 Babies' jumpsuit, jumper, romper and bonnet. Also includes patterns for small stuffed elephant, bunny and lamb. Includes Sizes XSmall (7-13 lbs), Small (13-18 lbs), Medium (118-21 lbs) and Large (21-24 lbs). Uncut, complete, factory folded. Envelope has one tiny tear and small mend to edge. 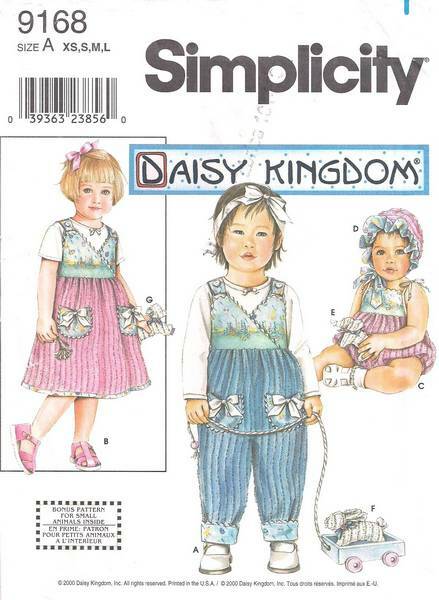 Copyright 2000, this pattern is now out of print.